Ramana Maharishi had no mortal guru and did not leave the mountain and its surroundings in Tiruvannamalai after he renounced everything except for the loin cloth. Initially he spent most of the time in meditation and silence and even when he started communicating with others it was mostly for answering their questions, clearing their doubts and for guiding those who sought his guidance. He gave no discourses or held classes in so much so there are some who have doubts whether he can be called a guru. But in Swami Vivekananda’s case there can be no such doubt as he had a mortal guru, if not a sampradaya guru, in Sri Ramkrishna, to whom he attributed all the success in his efforts and all the fame and glory that attended his efforts. He travelled widely, lectured profusely, wrote books, took classes on Yoga and Vedanta, and founded the Ramakrishna mission along with the brother disciples of Sri Ramakrishna. The uniqueness and greatness of this work was that it was the forerunner for similar Hindu religious organisations to engage in social and relief work and in propagation of scriptures. We shall see briefly the life of Swami Vivekananda, a Jeevanmuktha of inspiring and infectious dynamism. Narendranath, who later became Swami Vivekananda and whom we shall call Naren hereafter, was born as the first son of Viswanath Datta, a successful lawyer, and Bhuvaneswari Devi, a pious woman on 12th January 1863 in Calcutta. He used to hear stories from Mahabharata and Ramayana from his mother and he loved in particular the story of Sri Rama. He also bought a small clay image of Sri Rama and Sita and worshipped it with flowers. He was very naughty as a child. But he would become quiet when cold water was poured over his head uttering ‘Siva’ in his ear. He also liked to play at meditation. He with one or two of his friends would go to a secluded place and would play the game of meditation in front of an image of Sita-Rama or Shiva. On one such occasion a cobra appeared there. While the other boys ran away shouting, Naren remained lost in meditation and did not move. The snake soon went away. He later told his parents when enquired that he was feeling very happy at that time and did not hear his friends shouting about the snake. As a student, he was brilliant with an enquiring mind and a good memory. Besides studies he excelled in music, games and gymnastics. He was restless and active, not only in physical activities but also in his desire to understand God. This led him to intense meditation and study of various systems of philosophy and of different religions. His education equipped him with deep understanding of different religions and systems of philosophy. But they did not satisfy his quest for God. None of the spiritual luminaries including Debendranath Tagore, the Brahma Samaj doyen, could answer straight to his question, ‘Have you seen God?’ The only person who could answer this straight was the saint of Dakshineswar, Sri Ramakrishna Paramahamsa. First time Naren heard about him, was from his English professor, Hastie, who referred to Sri Ramakrishna as one who has realised God. Soon Naren had an opportunity to meet Sri Ramakrishna, when one of Naren’s friends invited him to sing a few devotional songs before Sri Ramakrisna, who was visiting that house. Sri Ramakrishna was impressed by Naren’s singing and he invited Naren to Dakshineswar. A few days later when Naren visited Dakshineswar, he popped the question to Sri Ramakrishna, “Sir, Have you seen God?” And pat came the reply: “Yes, I have seen God. I see him as I see you here, only more clearly” The conviction in Sri Ramakrishna’s voice impressed Naren immensely and Sri Ramakrishna was also equally impressed by the sincerity of Naren’s quest. Thus was laid the seeds of a unique Guru-sishya relationship where the Guru made the sishya famous by passing on his spiritual powers to sishya and the sishya made Guru famous by laying all his achievements at Guru’s feet and singing Guru’s glory in all national and international forums. Though Naren was impressed, he was confused also because Sri Ramakrishna’s behaviour was a bit strange. When Sri Ramakrishna saw Naren, he was very happy as if he was meeting a close friend after a long time; he even wept in joy, made Naren sit by his side and fed Naren sweets with his own hand and as Naren sang he went into ecstasy and as Naren took leave, he insisted that Naren should visit him often and Naren also knew that some people referred to Sri Ramakrishna as madman of Dakshineswar. But yet he visited Sri Ramakrishna, after a month. This time Sri Ramakrishna asked Naren to sit by his side and touched Naren. At this touch Naren had a strange experience. The walls and the room seemed to whirl round and round and then vanish. He thought that he was about to die and he became frightened. He cried out, “What is this that you are doing to me? I have my parents at home.” Sri Ramakrishna laughed and stroked Nar­en’s chest. At his touch the strange experience was gone and Naren found everything the same as it had been before. Now Naren knew Sri Ramakrishna was no ordinary saint. He developed deep respect for Sri Ramakrishna though there were still many unanswered ques­tions in his mind. He did not hesitate to voice his doubts and to argue with Sri Ramakrishna, when he was not convinced. This was especially in the field of idol worship. Sri Ramakrishna was an ardent devotee of Goddess Kali, whom he referred to as Divine Mother and he also asserted that the Divine Mother talked to him and made him realize Naren’s sterling qualities which made Naren so dear to him. Naren as member of Brahma samaj believed in formless God and could not see divinity in idol. Sri Ramakrishna even remarked once, “If you do not accept my views why do you come to me?” Naren replied “I come because I love you. But that does not mean that I will accept your words with­out thinking for myself.” Sri Ramakrishna was not annoyed, but only appreciated his honesty and independent, logical mind. He continued to shower affection on him, persevere patiently with him clearing his doubts and guiding him in sadhanas and his pure selfless love and faith in Naren won Naren over and Naren realized after a time that Para Bhakthi, supreme devotion to God in an idol and Brahma Jnanam, the supreme knowledge, are no different and lead to the same goal and he became an ardent disciple of Sri Ramakrishna and an ardent devotee of Divine Mother. Around this time two things happened that distressed him deeply. One was his father’s death, which left the family penniless and second Sri Ramakrishna’s illness with cancer. In spite of his inability to find a regular job and poverty at home, he did not discontinue his visits to Sri Ramakrishna. He joined other disciples in nursing him. Sri Ramakrishna gave specific instructions to Naren regarding a new monastic order, made him leader of the band of disciples and endowed him with all his spiritual powers before shedding his mortal body on 16th August 1886. After the passing away of Sri Ramakrishna, his disciples started living together in a dilapidated building in Baranagar and formed a monastic brotherhood under the leadership of Naren. They took the formal vows of sanyasa and assumed new names. Naren did not take a permanent name, using the name Vividhishananda most of the time. The name Vivekananda, he took much later at the suggestion of Maharaja of Khetri i.e. before leaving for America to attend the Parliament of Religions. But we shall hereafter refer to him as Swami Vivekananda only. Sometime after establishing the new monastic order, Swami Vivekananda was feeling restless as he felt an inner call of a greater mission in life to serve the masses of India. So in the middle of 1890, after taking the blessings of Holy Mother Sri Sarada Devi, whom he respected equally as Sri Ramakrishna, Swami Vivekananda left Baranagar Math and embarked on a long journey of exploration and discovery of India. During his travels he met Maharaja of Khetri, who became his ardent admirer and life-long disciple. After staying for some time with him he continued his travels to Gujarat, Maharashtra and South India. By now he has become widely known and various people invited him to their places. Wherever he went the people he met were struck by his wide learning, commanding eloquence and magnetic personality, and it was the expressed desire of one and all of them that he should represent Hinduism in the Parliament of religions to be held at Chicago, U.S.A. But Swami Vivekananda, who had his own doubts regarding going to a foreign land did not agree immediately. He continued his travel to Kanyakumari, the southernmost tip of India. Here he swam three miles in the sea to reach an isolated off-shore rock and sat there for three days in meditation. There in meditation he felt that it is also the will of Sri Ramakrishna that he should go to America to attend the Parliament of Religions. When he swam back it was with a resolve to attend the Parliment of Religions to carry the message of Vedanta to West and also get funds for the missionary work of uplift of poor, down-trodden masses of India. Then with the funds collected by his well-wishers and ticket provided by Maharaja of Khetri, Swami Vivekananda set sail for America from Bombay in a ship bound for Canada. His opening address in the Parliament of religions was a stirring success. The thunderous applause that greeted his opening words ‘’My dear Sisters and Brothers of America” took some time to die down. Later in the course of his address, as he quoted from Gita “Whosoever comes to Me, through whatsoever form, I reach him; all men are struggling through paths which in the end lead to me.” to emphasise the doctrine of acceptance enshrined in Hinduism he won the hearts of the assembled and his addresses then and later in the Parliament made headlines in local and national press. Of his inaugural address Romain Rolland remarks: “when this unknown young man of about thirty appeared in Chicago at the inaugural meeting of the Parliament of Religions, all his fellow-members were forgotten in his commanding presence. His strength and beauty, the grace and dignity of his bearing, the light of his eyes, and his imposing presence, from the moment he began to speak, the splendid music of his deep rich voice enthralled the vast American Anglo-Saxons … and left a deep mark upon the United States”. The hardships faced until the moment became a thing of the past as Swami Vivekananda was warmly welcomed thereafter, wherever he went in West. He toured United States, England and France for more than three years meeting many scholars, delivering lectures, holding classes, and establishing Vedanta societies to continue the work started by him. His watchword “The goal is to manifest the divinity within ----- Books and temples and churches are secondary details’ caught the imagination of the people everywhere. After the tour of U.S.A and Europe, he returned to India after a period of three and a half years, to a hero’s welcome in all the places he visited thereafter. As he landed in Pamban, he was warmly greeted by huge crowds, including Raja of Ramnad, who had gathered there. Then he was taken in a procession in a carriage drawn by Raja himself along with other admirers of Swamiji. It was a triumphal march from Rameswaram to Chennai as at every station the train stopped, crowds had gathered to have his darsan and he had to get down, receive the welcome address and speak to the crowd. The same happened in Chennai, only it was in a bigger and grander scale with welcome arches and fireworks. So tired he became by the continuous lecturing without rest that he dropped the idea of going by train to Calcutta and travelled by ship to receive yet another grand welcome there with bands and banners. Swamiji was glad to rejoin his brother monks and they were thrilled to see their Naren return as the world famous Swami Vivekananda. After another round of receptions and lectures in major cities of North India, Swami Vivekananda settled in Calcutta for some time. He founded in 1897 a unique type of organization known as Ramakrishna Mission, in which monks and lay people could jointly undertake propagation of Practical Vedanta, and various forms of social service, such as running hospitals, schools, colleges, hostels, rural development centres etc, and conducting massive relief and rehabilitation work for victims of earthquakes, cyclones and other calamities, in different parts of India and other countries. In 1898, a plot of land was purchased at Belur, wherein the present Math came up. In 1899, he again went to West. This time he spent most of the time in California conducting classes on Gita and Vedanta. He returned to India and Belur Math in 1900. Incessant work has taken toll of his health. His health which was not good even before his second visit to West, now grew worse. But he continued his travels and lectures, though not that frequently and widely as before. Even while in Belur math he conducted classes, guided people both monastic and lay. Even on his last day on earth, 4th July 1902, he was taking classes on Sanskrit grammar. He was only thirty nine when he shed his mortal coils. But within that time he wrote and spoke so much that his collected works run into eight volumes and he travelled so widely and so successfully to preach the practical Vedanta that K. M.Panikkar, the eminent historian calls him “New Sankaracharya”. 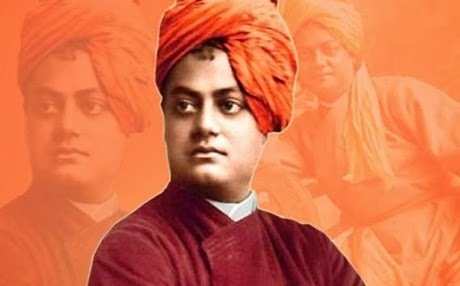 He lives today not only through his pioneering work but also through his inspiring message to youth of India ”Arise, Awake and Stop not till the goal is reached”.